It’s been 50 years since HMCS OKANAGAN, the third of Canada’s O-boats, sailed from Gosport for workups. And in November this year, the Submarine Association of Canada (West) will celebrate the anniversary of her commissioning in the Chatham Dockyard. The occasion, November 2-4, will also mark HMCS RAINBOW’S 50th. More about her in a later post. OKANAGAN went on to an illustrious career in the RCN, most of her operations taking place in the Atlantic out of Halifax. 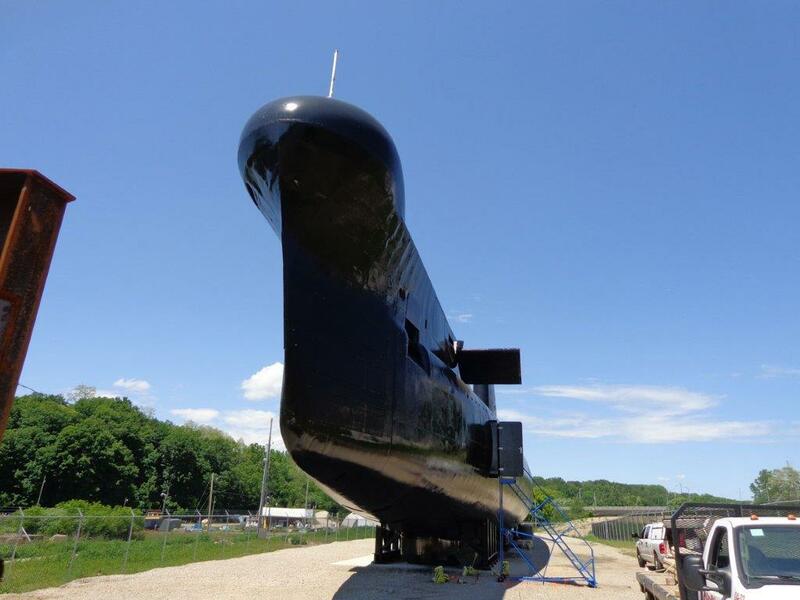 Along with her sister boats, OJIBWA and ONONDAGA, her life was extended by a major update of periscopes, sonar, torpedo tubes, etc in the late 1980s that kept her operating until the late ’90s. One of OKANAGAN’S last tasks was the search for and locating of the flight recorders of Swissair 111 which sadly crashed off Peggy’s Cove in 1998. Many of her crew, now known as “The Crunch Bunch,” will no doubt reminisce about an unhappy day in 1973 when the OKANAGAN had a run-in with the propellers of Royal Fleet Auxiliary Grey Rover. HMCS OKANAGAN was paid off in 1998, and sold for scrap. Both her sister O-boats, though, are museum pieces in Ontario and Quebec. They can be toured by the public, and will give an idea of life in what some have called “the last and best” of the O-boats. 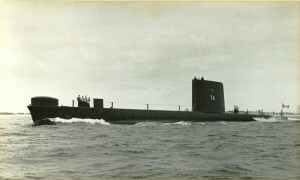 OKANAGAN commissioned on June 22nd, 1968, and less than a week later sailed for work-ups in Faslane, Scotland. 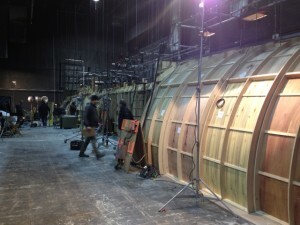 For all those fans of “Supernatural” who caught last night’s episode, “The Vessel”, here’s an external photo of the amazing submarine replica built in Burnaby for the shoot. 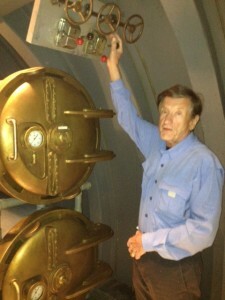 This is director John Badham, with two of the torpedo tubes featured in the production. Hats off to the crew who put the amazing set together. There were times when I had to shake my head to remind myself I’m not back aboard USS RASHER. This is a mockup, and the flames in the corner of the control room are real flames, but will be turned off once the cameras have the shot. OJIBWA was commissioned for the first time in 1965 in HM Dockyard Chatham, England. She served in the RCN until May 1988. She is now at rest and on display, a magnificent museum piece located at Port Burwell on the shore of Lake Erie. See the Museum of Naval History.